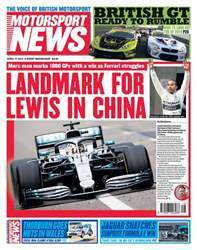 (0 Customer Reviews) | Write Review 51 issues per year Motorsport News has been the voice of British motorsport for more than half a century. 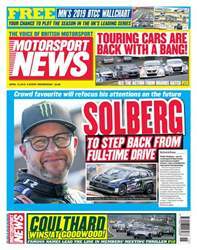 Featuring a new look for this season, Motorsport News prides itself on being Britain’s only weekly motorsport newspaper, delivering up-to-date news, reports and results from all aspects of four-wheeled competition. 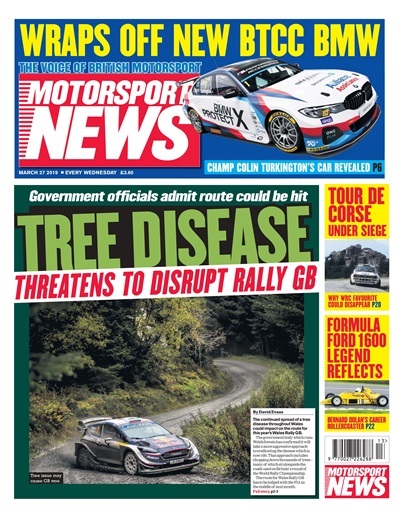 With a strong focus on the British racing and rallying scenes, Motorsport News is the essential companion for motorsport fans, competitors and officials in the UK. The publication also offers a unique and irreverent look at Formula One and the World Rally Championship, featuring the ever-popular driver rankings that pull no punches. 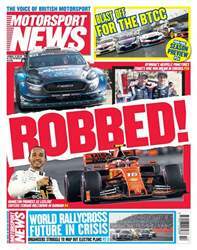 With star guest columnists, regular competitions, the bustling classified marketplace section and a new digital edition, Motorsport News continues to set the pace. 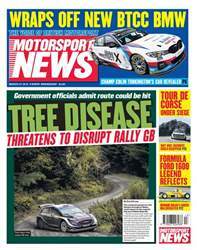 Looking for Motorsport News in print? Unfortunately pocketmags.com does not sell print copies of Motorsport News, but all is not lost. Our partner at magazine.co.uk sells print subscriptions at the best prices online. Motorsport News has been the voice of British motorsport for more than half a century. You'll receive 51 issues during a 1 year Motorsport News magazine subscription. You'll receive 51 issues during a 1 year Motorsport News magazine print subscription.